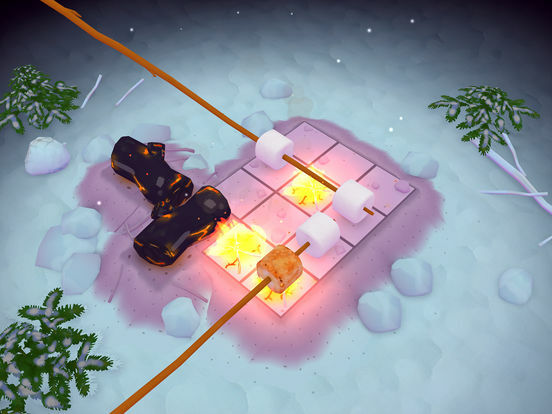 Campfire Cooking is a puzzle game about relaxing moments in nature, as you prepare meals over a warm fire. 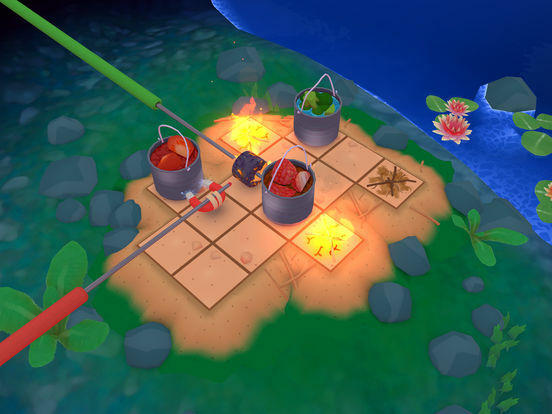 Discover the joy of cooking on a stick and test your problem-solving skills with some challenging campfire puzzles! The latest creation from Layton Hawkes is guaranteed to make you feel clever, hungry and eager to book your next woodland escape. Discrete levels will appeal to commuters or short-session players, while access to multiple levels at a time will keep long-session players motivated. Those looking for a fierce puzzle fix with relentless high score chasing should look elsewhere; this is not a twitchy manic experience. 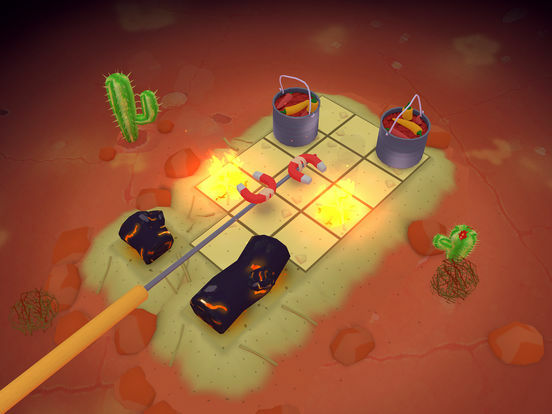 Players who enjoy a mellow, contemplative process of puzzle solving, with room for ongoing improvement should certainly consider Campfire Cooking. 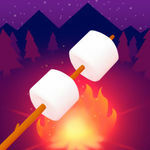 Visually, Campfire Cooking is stunning and beautiful. The game has a kind of cartoonish aesthetic with the characters and food, but it's done gracefully so it's not over-the-top. 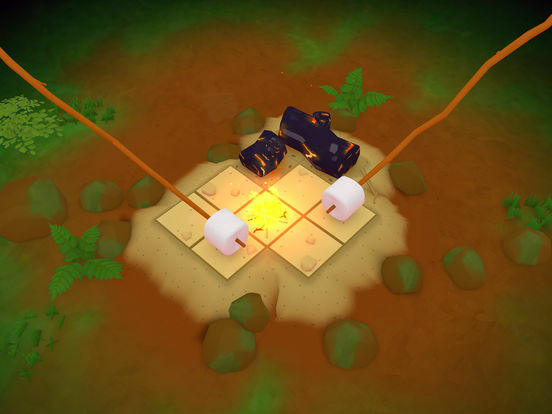 The food looks simple yet appetizing, and the campfires have a soothing look and feel to them that mimics the real thing nicely. There's several different environments to set up camp in, and they all have a believable appearance. 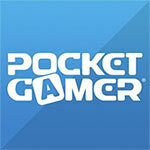 The vignette around the screen edges is a nice touch, as it puts the focus on the puzzles. 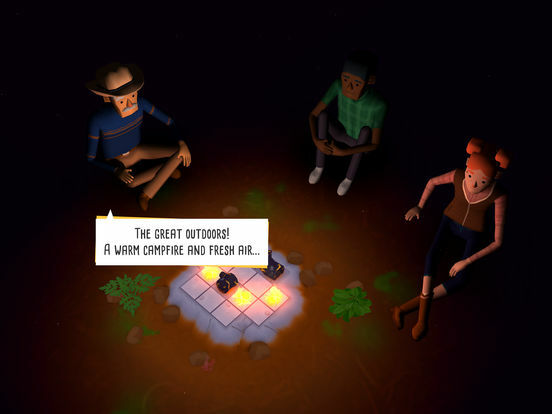 Campfire Cooking is not only visually striking, it's also relaxing, endearing, addictive, and offers up a real variety of challenging puzzles to enjoy.